Cleaning muddy boots is a chore, and with Autumn upon us it means we will all be doing this chore a lot more! Let’s face it with the rain we’ve seen in England this year it’s one job we may have to get used to! It gets worse however once football season kicks in (sorry!) and kids are back at school, because it won’t just be muddy wellies and shoes… no matter which football boots or trainers you own, they too are going to need cleaning! The brilliant Tyger Paw Boot Cleaner removes Mud from Football & Rugby Boots, Walking & Hiking Boots, Sports Shoes, Carpets, Mats and Runners! It’s the ideal tool for cleaning sports footwear, designed by a lifelong football fan involved in playing, coaching and managing for more than 25 years. In that time, players’ kit, especially footwear, has evolved dramatically. Like many amateur and Sunday League footballers he cleaned boots with whatever was available after the match – scrubbing brush, keys, biro – but he knew there should be something better out there for the cleaning of boots. There was a time when black boots were all you could get. Now you can buy white boots, blue boots, orange boots, gold boots, titanium boots, personalised boots. . . . .sportswear giants such as Nike and Adidas can provide them. You want your name, address and telephone number on your boots? No problem. ‘Just do it’. But there’s a price to pay. With a top end pair now costing upwards of £200, many footballers are desperate to prolong the life of their kit. 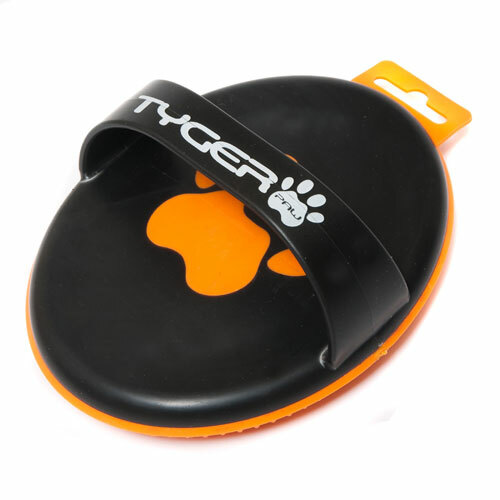 How does the Tyger Paw Boot Cleaner work? It is constructed of ThermoPlasic Elastomer (TPE), a non-abrasive material which is strong, durable and waterproof. The base of the brush is made up of bristles of differing lengths and tensile strengths which quickly and efficiently remove ingrained dirt, grass and mud. This fantastic new product was designed to remove Mud from all types of Shoes & Boots & Carpets etc. 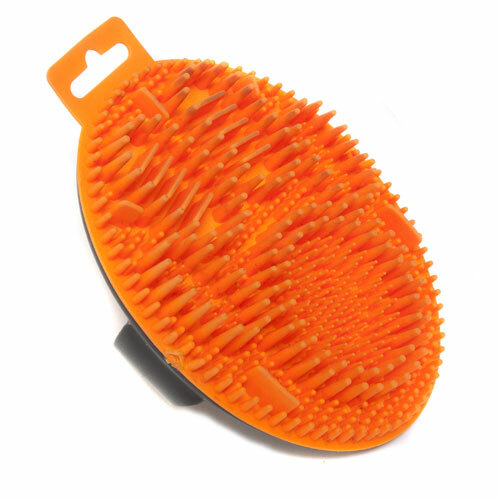 Fantastic for Muddy Football, Rugby Boots, Hiking Boots, Wellington Boots – the soft bristles easily remove mud from in between studs & moulded soles. Quick, easy and less messy to do! * Ergonomically designed for ease of use. By the way you can it’s also great to remove dried mud on car carpets & mats, mud from horse blankets and a also a very effective Pet Hair Remover. It is waterproof & has a durable design. And before you ask – no tigers have been harmed, it’s just a name!